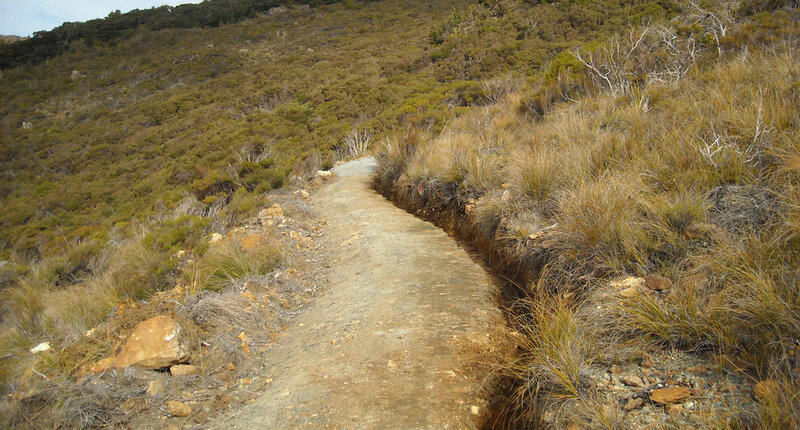 The upgrading of the entire Dun Mountain Trail has been an ongoing project for Nelmac for a number of years with various upgrades being carried out in sections as funding was available. This particular portion of the upgrade was as a result of the Government initiative to invest in NZ’s Cycle trail network. 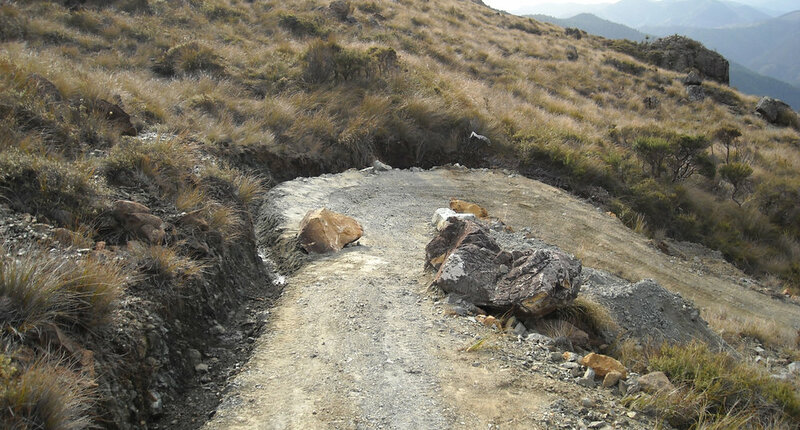 No fixed trail design was in place other than it needed to meet the requirements for a Grade 3 standard as set out in the New Zealand Cycle Trail Design Guide. Improvement of riding /walking surface. This required the widening of the track, the spreading of gravels and compaction of the surface. 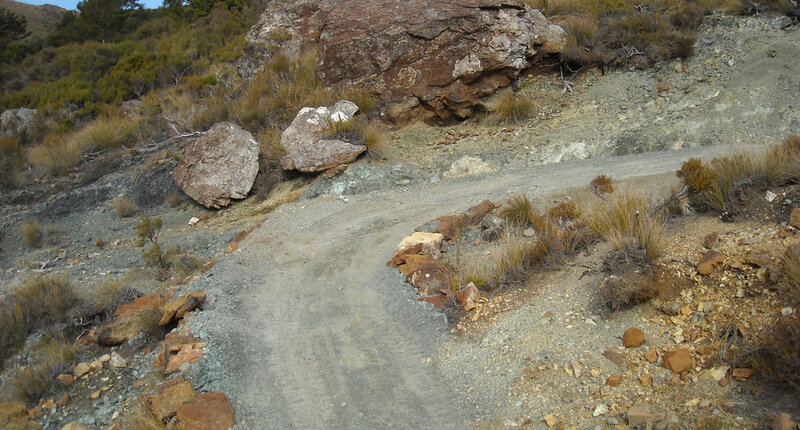 All gravel was “mined” from various locations along the route that provided suitable quality material. When distance and volume meant it uneconomic to transport gravel by track barrow, we then filled large bags and transported these by helicopter to site. Installation of drainage swales, box culverts and cut off drains. Given the high rainfall that area can experience, ensuring effective drainage was a critical consideration to ensure the longevity of the track service. Cutting and formation of new track. Consideration to line, gradient and minimisation of vegetation disturbance were all factors at play when planning the new route.